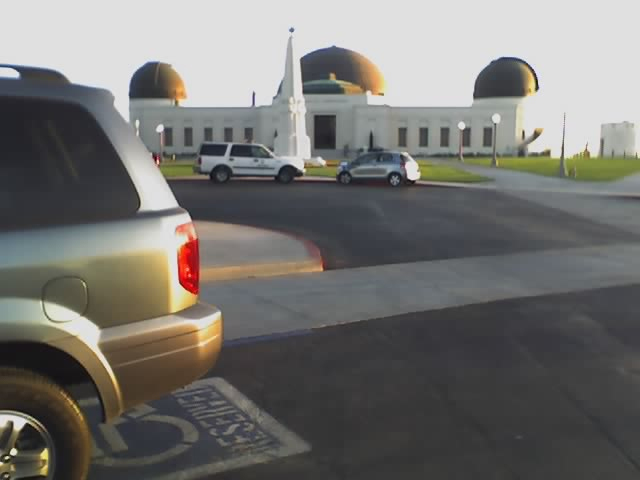 The two display automobiles are parked at the red curb in front of the Observatory. This is as close to the Observatory as one can get without leaving the parking lot. Meanwhile bicycle parking is relegated to the area behind the rest rooms in the same parking lot but in the opposite direction. LA Muni Code requires bicycle parking to be placed as close as the closest parking space for automobiles. There are two areas, to the east and west, that are close, visible, open to the eyes of the public, safe, and do not interfere with the movement of pedestrians. These would be an ideal location for bicycle parking. And yet, the Department of Recreation and Park(ing) placed the Marquis de Sade bike rack behind the dumpster area and behind the bathrooms. Meanwhile, Toyota enjoys front row (in the red zone) parking. 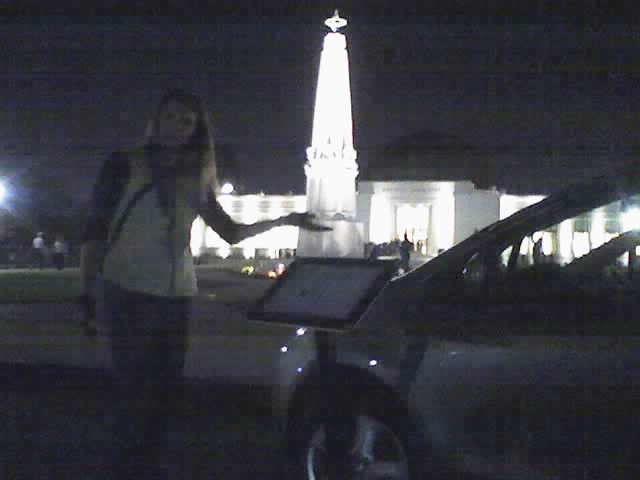 The Griffith Observatory exists today because many years ago, Colonel Griffith J. Griffith stood on top of Mt. Wilson and gazed through a telescope at the night sky. He was so moved by the experience that he decided then that everyone should have the opportunity to experience the place of humanity in the vastness of space and time. SurviveLA called the observatory reservation line to try to make a free timed cycling/walking reservation after 3:50 p.m. This was, of course, impossible as we were told that it is "too dangerous" to ride at night. So we called the Observatory to find out why. The receptionist repeated the "too dangerous because it is dark" excuse and added a new threat . . . coyotes! 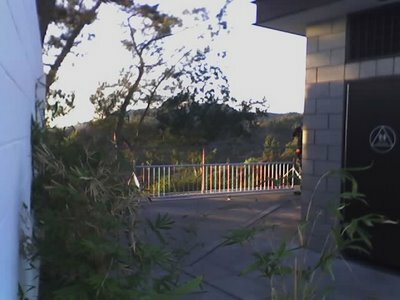 I pointed out that I could ride my bike up to the gate any time I wanted to but that I just could not enter the Observatory, but this argument did not get anywhere. We asked to leave a message for a higher authority and we were sent to the voice mail of the operations manager (first name Joanne) for the Observatory. If Joanne ever calls back we're going to suggest that if we can't get the time limits repealed, at least they can shift them according to sunrise/sunset. Or should we use astronomical twilight as the benchmark or something more exotic such as the positions of Jupiter's Galilean moons? In addition we're going to need to take into account the biological cycles of coyotes -- wouldn't want to encounter an angry one with pups after all. And there is the ever present Griffith Park Bigfoot menace . . . But seriously, all of us who want to ride or walk to the Observatory should call and complain about these restrictions. This is a minor issue considering the rash of injured and killed cyclists we've had in the past few months, but if we're going to make Los Angeles a decent place to live it will be by gaining access for cycling and walking one small step (or pedal crank) at a time.